Occasionally "dies" (falls over) and then "revives" (stands back up). 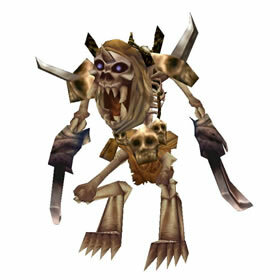 Hits the enemy with a skull, dealing 433 Undead damage. With a 2 round cd for Great Cleave I would recommend using something like Amplify magic or similar.